In September 19-22, 2017 Elizaveta Taranenko presented the laboratory's work in one oral and two poster presentations at the 7th European Conference on Prokaryotic and Fungal Genomics (ProkaGENOMICS 2017). Employers and students of the Genome Research and Education Center took part in the First International Conference on Symmetry (Symmetry 2017), which was held from 16th to 18th of October 2017 in Barcelona, ​​Spain. The conference was attended by Mikhail G. Sadovsky, Vladislav Biryukov, Serafima Novikova and Elizaveta Taranenko. They presented one poster and three oral reports on the results of genomic studies of conifers. Students of the Genome Research and Education Center Serafima Novikova, Vladislav Biryukov and Elizaveta Taranenko had an internship at the University of Göttingen in Germany from 15th of September to 21st of October with the support of the academic mobility program for students in the framework of Project 5-100. 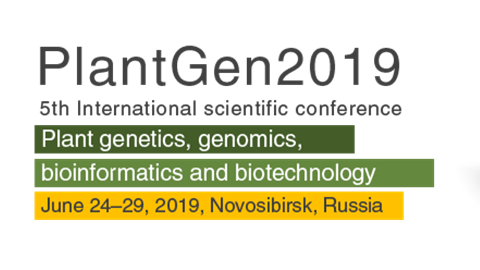 From 21 of August to 20 of September, employees of the Genome Research and Education Center Natalia V. Oreshkova and Yulia A. Putintseva had an internship at the University of Gottingen in Germany with the support of a megagrant and an FP7 grant.